I needed some magic in my life last week, but not just any old magic. I had a craving for a magical carnival. Something along the lines of The Night Circus or Something Wicked This Way Comes. 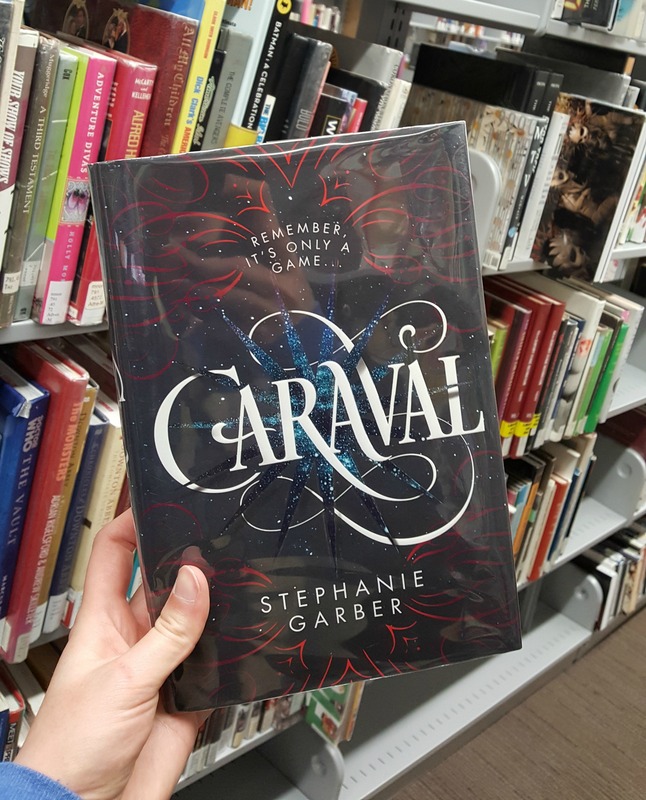 A lot of bookstagramers had been posting about Stephanie Garber’s Caraval lately, so I figured I’d give it a go. Caraval, which is Garber’s debut novel, follows two sisters: Scarlett and Tella Dragna. They’ve never left their tiny island home, where they live in fear of their powerful, controlling father, but they’ve both always dreamed of visiting Caraval: a travelling, magical performance that their grandmother told them stories about when they were young. Now, weeks away from Scarlett’s arranged marriage to a mysterious count she’s never met, they get a personalized invitation to attend Caraval. Legend, Caraval’s organizer, sent the invitation himself. When Scarlett and Tella arrive, though, things are not all what they seem. In fact, multiple warnings are given before the sisters choose to enter Caraval as either a participant or a spectator. This time around, the game focuses on Tella. She is seemingly kidnapped, and all of the players, including Scarlett, must find her. The winner is granted one wish from Legend, but if no one finds Tella, her fate could be dire. Caraval resembles a gothic-circus, filled with equal parts magic and danger. It’s incredibly difficult to differentiate reality from the game, which forces Scarlett to make some tough decisions. She’s never been able to make choices for herself before, so she is forced to discover what truly matters to her. She still relies on others for advice and guidance, but elements of the classic coming-of-age-tale are evident. While I found this story to be very entertaining, there’s no denying that it’s written for a young adult audience. Parts of the story are poorly written, the characters are pretty one dimensional, and the love story is PG at best. But, it’s still a great escape from our mundane world into a land full of magic. If you’re a fan of magical stories, and want a quick, easy read, check out Caraval.